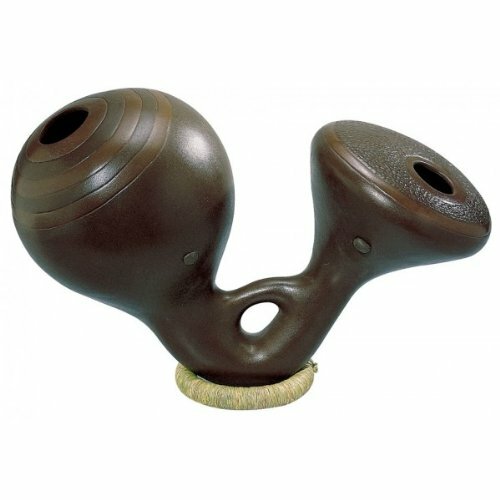 What is an Udu Drum?? | Gear Acquisition Syndrome!! This past October I ran a half-marathon to Canada and back. Why? Well, because I like to run, of course, but also because I wanted to raise support for people in Africa who don’t have any water. The Pokot tribe, numbering in the thousands, walk up to ten miles a day just to get a drink of water. For centuries they’ve used clay pots, typically handmade by women in the village. But somewhere in history, someone discovered that a jug with TWO HOLES could make… really cool sounds. 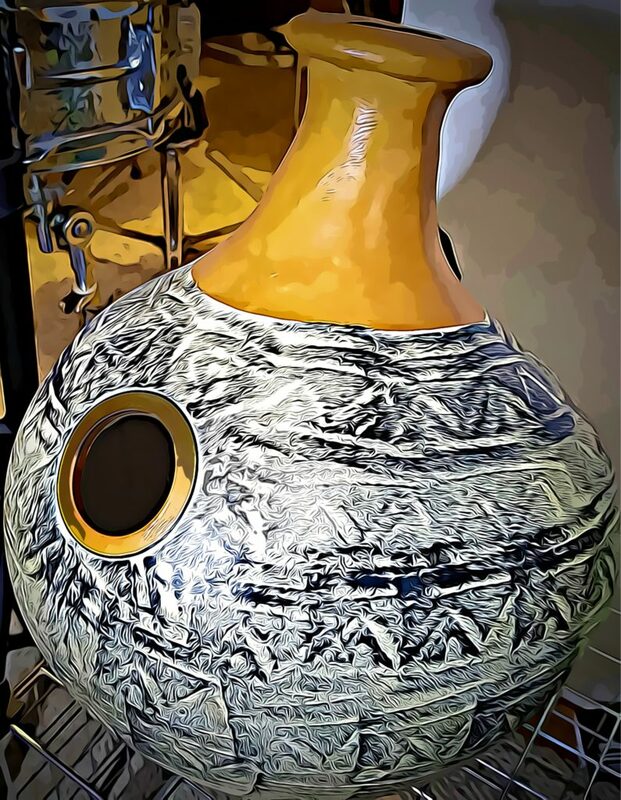 Voila… the Udu drum was born! In this video, you’ll hear some tones from my own personal Udu drum and how I tend to play it. Enjoy! It Rises From the Clay! 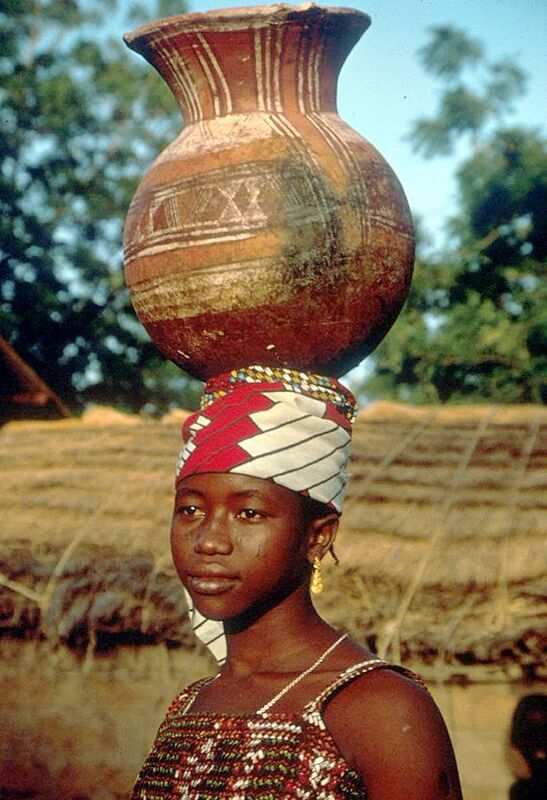 From the little documentation we have, it appears that the Udu drum originated in Nigeria. 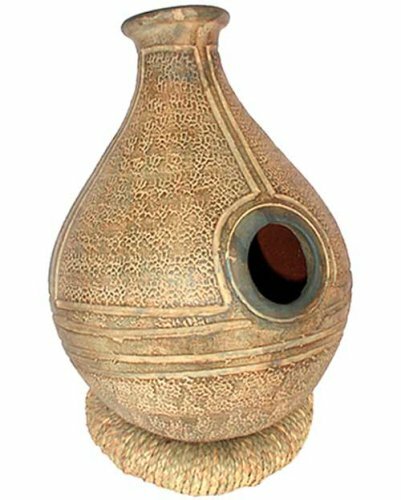 The word “Udu” comes from the Nigerian tribe known as Igbo. In their language, it means “vessel”, or “container”. Even today, if you travel throughout Nigeria, you’re sure to find these clay pots everywhere you look. And of course, they are often used to collect a family’s portion of water for the day. They are all so interestingly put up into trees where bees begin a nest and produce honey for them. For hundreds of years this interesting take on a drum has been used during ceremonial rites, usually by the women. This is not only because they were the ones who gather the clay, mold it, fire it and carry it all the time. The location where the women collect the clay is considered sacred. The women even supplicate and make offerings to a female pottery deity there! To women who have served their craft faithfully, the Igbo people bestow upon them a “Potter’s anklet”, immediately confers upon them status and seniority. It’s good to know that, even in Nigeria, exceptional artisanship in the musical instrument field is admired and well-respected! But beyond all the everyday, practical uses of the Udu, how cool that it’s now also revered as a tribal musical instrument. And WE get the benefits! For a glimpse of Udus being made in Nigeria, WATCH THIS. Or GO HERE to read what Wikipedia has to say about it. There are four ways to produce music on the Udu drum, which bring out very different sounds. First, there’s the SLAPPING the outer clay with the fingers. This produces high-pitched “CHICK”-s that grow sharper the harder you hit the surface. Next, there’s the BASS port. This is the whole that’s in the side of the pot, somewhere near the top or the middle. When you quickly cover the bass port with the palm of your hand, you get a very deep, sustaining bass note that’s almost like a low hum. 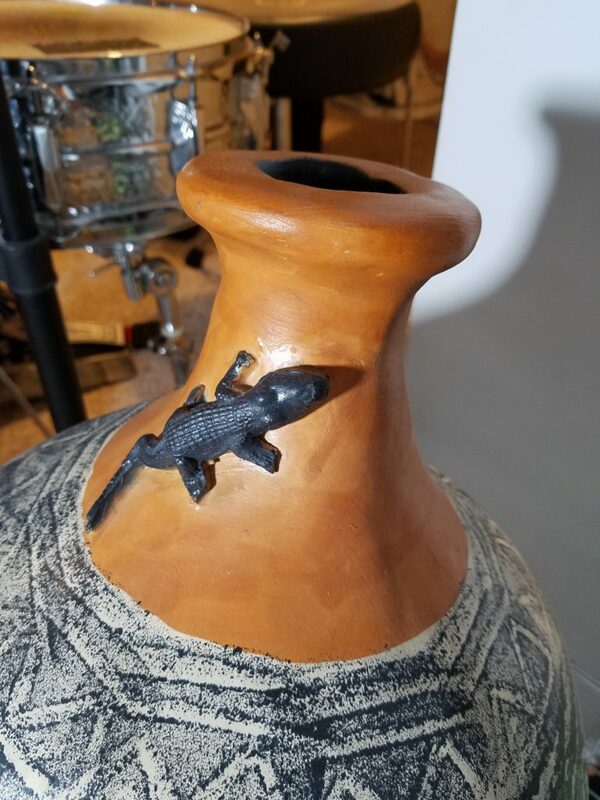 There’s a LIZARD on my UDU!! The moment you then LIFT your palm from the bass port, you get a more subtle, ascending tone it’s almost like a “whoop”. I think the sound is also very akin to the open-mouthed that a gorilla makes. 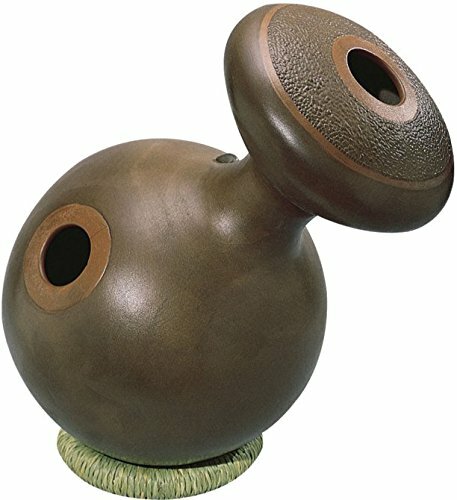 Regardless, it’s a unique voicing that is usually the main thing that attracts attention on an Udu drum. The third timbre we can eke out of the Udu is made by using any RING you might be wearing to hit the surface. This will give a much louder, sharper hit that can drive your 2 and 4 like a snare would. The sound is noticeably different from simply tapping with fingers only. Lastly, you can play the TOP SPOUT of the gourd, where the contents would usually be poured. If the bass port is open when you do this, the sound will be similar to the bass port, a sharp upper frequency added. 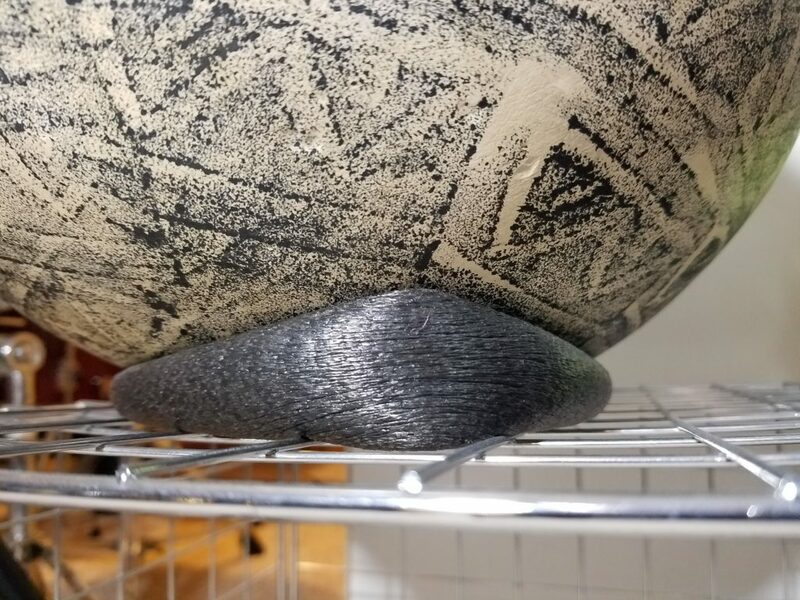 You can actually get a kind of 4th timbre out of the Udu drum by simply RUBBING the outer surface of the clay. This produces an airy, subtle, almost rain-like sound. It can be appropriate for softer songs, but honestly this method isn’t used often enough for me to do more than just mention it to you. Combining these disparate timbres into flowing rhythmic patterns can produce a very hypnotic, organic, tribal kind of sound. It’s perfect for “World Music” but it can also complement Western music if used appropriately in the right kind of song. I find that the bass frequencies in most YouTube videos online are pretty hard to hear. I did find this one, however, by Fahad Zuberi that not only allows you to hear clearly all three voices on the Udu, but also showcases Fahad’s fine playing. Traditionally, you see the drum sitting in the LAP of players with crossed legs. This is fantastic if you’re gonna go old school and sit on the ground as you play. If that’s uncomfortable for you, most Udu drums come with a foam, wicker or cloth RING to set it on. Using this, you can set it out in front of you which tends to set your arms free a little more. I find, however, that the leaning forward inherent in this position gets old pretty quick. For that reason it’s my least favorite way. 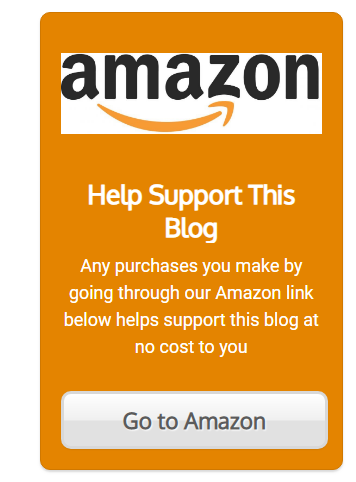 The final method is a great one, but it hinges on you making a separate purchase. World Percussion Stands are made by several manufacturers (for example, THIS ONE) you to play Euro to drum up high, standing. This is the preferred way to go if you’re playing with more than one other person. It helps you not only play freely, but also lets you be seen more easily, as you mesmerized the audience with your ethno-savage rhythms!! I’ve played the Udu drum both in the studio and live. I’ve used a variety of mic methods, and over the years of doing so I’ve landed on one technique that is my favorite. The reason? It catches the various sounds of the drum better than any other method. To my ears at least. If you tape a flat-headed, omni-directional lavalier mic INTO the top spout of the drum, and tape it close to the bass port, you’ll get a very full, rich representation of what the Udu can do. The only drawback to this method is the wire the way of you playing the top spout. I find you can still get the sound out of it, but I tend to avoid the spout mostly when doing this because, frankly, I don’t want to break my mic cable! I personally use the top spout hit least, so for me it’s not that big a deal. YMMV. THIS MIC by Countryman works great for this technique, though it’s not cheap. A little duct tape and this baby will get you rocking in no time flat! Any mic that is small and flat, like the Countryman though, will work fine. Just remember that if you use a lav mic you’ll need a lav transmitter & receiver too. I have a whole package that I use live with everything. The second best method I’ve found is to tape a flat-headed cardioid lavalier mic on the outside of the drum, near the bass port. If you use this method, just make sure that the microphone is out of the way of your playing. It’ll still pick up the nuances of the drum quite well. The bass frequency response will not be quite as full, however. If you don’t have any lav mics, then you can use the method I see all the time on YouTube. That is, just point a microphone on a stand near to the bass port about two feet away. A full-spectrum condenser mic is your best option here, though if you’re playing live and wanting to avoid feedback, you may have to stick with a simple dynamic mic and boost the bass on your mixer EQ. Whichever way you choose, the first time you hear your Udu drum through a sound system, you’re going to be transported to whole new worlds of inspiration. Go for it – you’ll have a slammin’ good time! Udu drums come in small to medium sizes. I have yet to see a really large one. The one I own is 15 in high, which is about the size of most that I see in stores. They make ones that are much tinier, but their bass response is diminished so I’m not that interested. The bass port tones are what make the drum the most compelling to me, so I wouldn’t want to do without them. I can only speak for the LP brand of Udus, since that’s what I have. Mine has served me well for over a decade now, with nary a break, crack or change in timbre. I know that Meinl also sells quite a few of these drums, and they also have a very good reputation. I’ve purchased many Meinl products in my day, to complete satisfaction. For example, if you missed our post on Cajon drums, where I talk about my Meinl Cajon, READ IT HERE. In any case, a quick Google search of “Udu drum” will have you G.A.S.-ing for hours over the limitless options. One drum not enough for you? Try three! 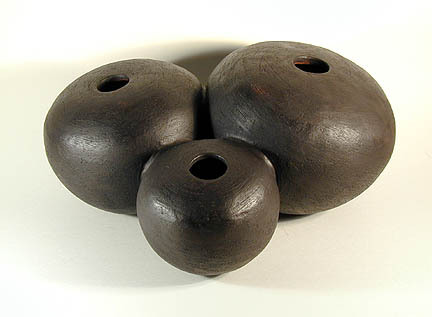 The triple Udu drum, which you can SEE HERE, is bound to keep you busy… for a few sessions at least. You’ll get slightly different tones and frequencies out of each pot, so it does make for good variety the more Udus you have. The Utar is basically an Udu drum that’s been squished! Some find it easier to play, based on their hand size and shape. I don’t personally, but to each their own. See MORE INFO HERE if that shape interests you. The Hadjini is a fairly recent addition to the lineup. It’s like taking two Udus and joining them at the spouts. One additional plus in the Hadjini is that it comes with two small holes to fit in lav’ mics. That’s awesome for those of us that prefer this method of mic’ing. These option are only just the tip of the iceberg. There’s a lot of variations on this clay drum. Some more bizarre than others. A Pro Class in Clay! Before we leave, I thought I’d turn you on to a masterful percussionist who gives us a great glimpse into Udu potential. Bashiri Johnson is a New York City professional who’s played with the best (Sting, Michael Jackson, Whitney Houston, Lionel Richie, etc.). In the following video he provides the perfect rhythmic complement, on an Udu drum, to some soulful original music. Check him out!! It’s all good! Ain’t nothin’ but a groove thang, yo! So next time you’re in the mood to get all SLAP-happy… pick up an Udu drum.